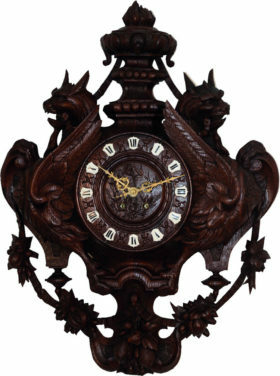 French hand carved cartel clock. 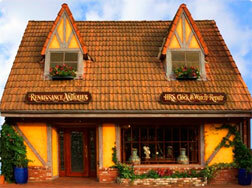 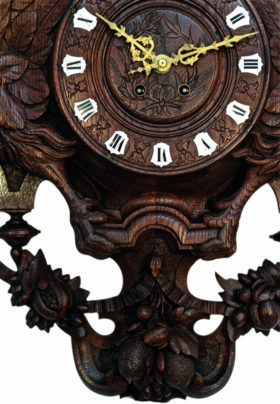 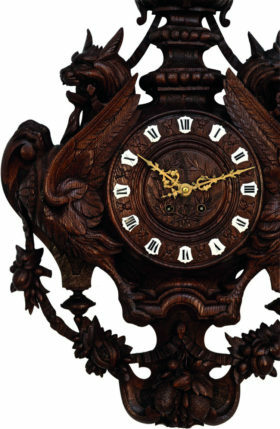 This striking clock is made of a rich colored oak with hand carved detailing throughout. 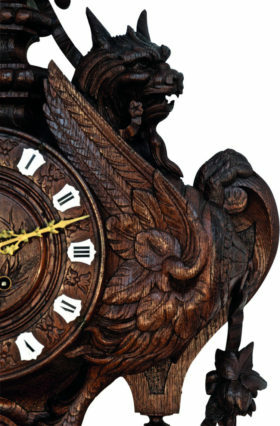 The clock features two ornate griffins flanking either sides of the piece, and a wood dial featuring porcelain cartouche numerals.